Undoubtedly Nepal’s most internationally recognisable metalwork item, the Khukri is both utilitarian object and revered symbol, particularly associated with the Gurkhas. ‘The kukri (Nepali: खुकुरी khukuri) is a Nepalese knife with an inwardly curved edge, similar to a machete, used as both a tool and as a weapon in Nepal and neighbouring countries of South Asia. Traditionally it was, and in many cases still is, the basic utility knife of the Nepalese people. It is a characteristic weapon of the Nepalese Army, the Royal Gurkha Rifles and of all Gurkha regiments throughout the world, so much so that some English-speakers refer to the weapon as a “Gurkha blade” or “Gurkha knife”. 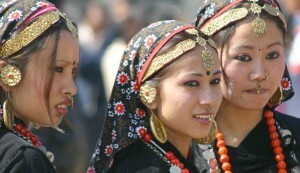 The kukri often appears in Nepalese heraldry and is used in many traditional rituals such as wedding ceremonies. …. read more. The Fisher Kukri is one of the objects selected as having made made an impact on the history of the world. The knife is housed at the Gurkha Museum in Winchester, and has come to define the Gurkhas as a unique and respected fighting force. …. read more. ‘ ……all over the Valley, are of repousse works in copper as are the statues of various gods and goddesses inside the shrines. 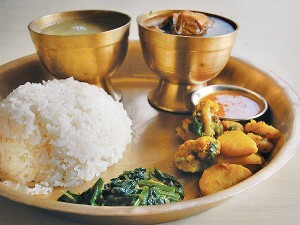 The ‘sherkem’ and the ‘bhumbha’ (small vessels for offering holy water), the ‘pauwahi’ (vessel holding rice for offering), the ‘maney’ (prayer wheel) and the ‘dhupdani’ (incense holder) – paraphernalia meant for religious use by Buddhists, are also made of copper, even if gold-polished. 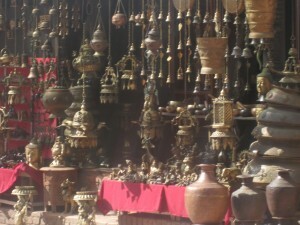 So too are the ‘panas’ (standing lamp stand), the ‘kalaha’ and the ‘kotaha’ (containers for carrying puja items), and the ‘khadelu’ (hanging oil lamp)- all meant for religious use by Hindu Newars. The use of copper has undoubtedly declined in kitchenware nowadays, but there is still many a home in the Valley which boasts of large numbers of copper ‘gagris’, ‘ghyampas’ and the like. 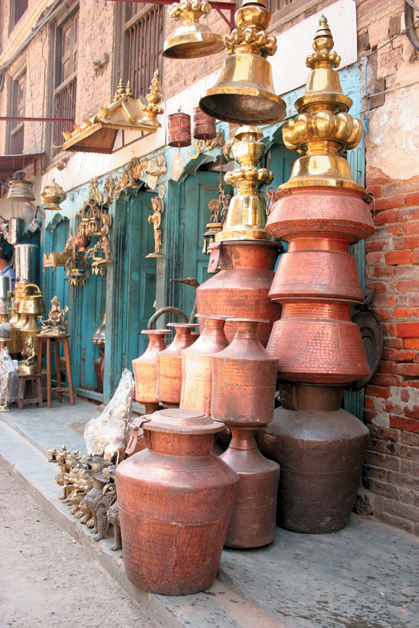 Recent additions, thanks to the entrepreneurship of our hard working Tamrakars, have been gleaming copper water filters and beautifully designed three tiered cooking vessels for making a Nepali’s favorite food, the ever delicious momos. Surely, the steaming of the same within the protective realm of copper can only make them all the more delectable! The two most important and historical uses of brass in Nepal are for a) creation of devotional statuary, and b) cups plates and cooking utensils. 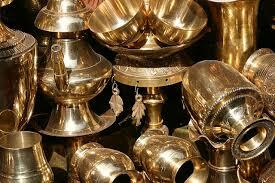 Brass is also used for traditional culture ornamentation in some Nepali ethnic communities. 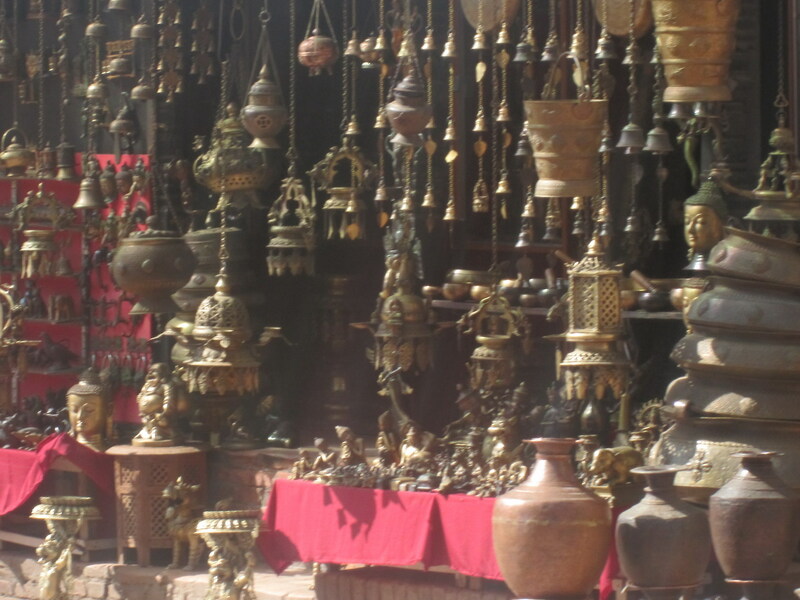 The history of Nepali brassware is also detailed in an academic paper ‘Statuary Metals in Tibet and the Himalayas History Tradition & Modern Use,’ by the scholar Lo Bue.